Modern dance is a genre classified by emotion, contractions, versatile movement qualities, and strength. Typically dancers use their bodies as instruments to portray life experiences and different emotions. Modern came about as ballet dancers rebelled against the tradition of classical ballet and created their own dance form that allowed for more original and freeing movements. The style has emerged from various contributing artists such as Martha Graham, Isadora Duncan, Lester Horton, Jose Limon, and Merce Cunningham. 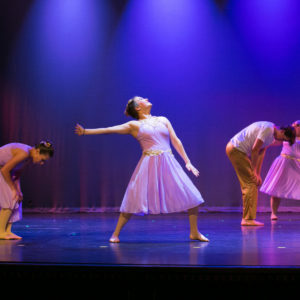 Cavod Academy’s Modern dance program combines strong ballet technique with freedom of movement and expression. Focus is placed on balance, control, flexibility and interpretation of music through dance. Proper attention is given to core exercises designed to strengthen the abdomen and upper body along with improvisational skills. 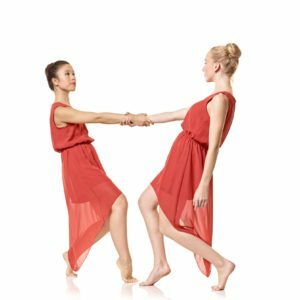 Modern dance challenges dancers to take risks with their movement and be creative. Classes include initiating movement through the breath and use of the spine such as; contract/release, twists and tilts. Class warm-up will work through parallel and turned-out positions, core initiation, use of the floor, along with flexibility and strength building through yoga and Pilates influences. Center warm-up and across the floor will consist of runs, jumps, swinging movements, a-symmetrical turns and floor work such as; fall/recovery rolls, slides and advanced weight-bearing inversions. Students will build improvisational techniques, partnering skills, and the use of the body to portray emotion. We offer modern classes for ages 7 to adult for beginner, intermediate and advanced skill levels. Cavod Academy is located in New Holland, PA, which is in eastern Lancaster County and just a short drive from neighboring communities including Lancaster, Leola, Ephrata and Lititz. 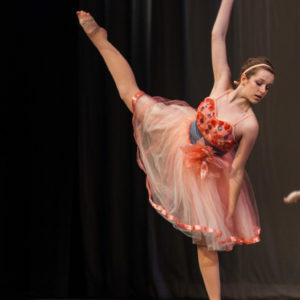 Students are required to have at least one year of ballet and current enrollment in a ballet class. Instructor approval is necessary for intermediate and advanced dance classes.